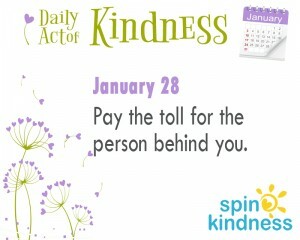 Today’s Challenge: Pay the toll for the person behind you. Crossing a toll bridge? Choose the cash lane and pay for the car behind you. No toll bridges around you? 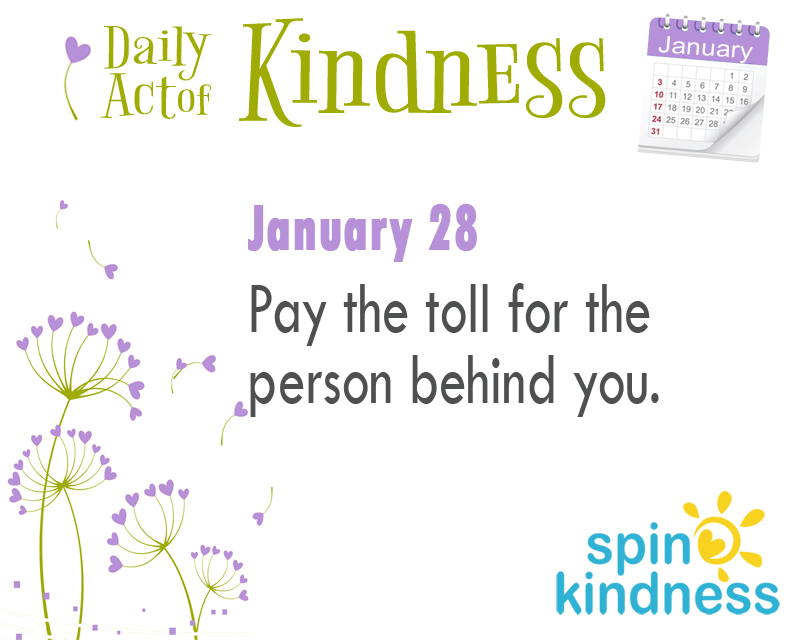 Pay for the person behind you in the drive though (or even part of it), buy coffee for the next person in line, or leave some change in the vending machine. See if you can start a chain of kindness.